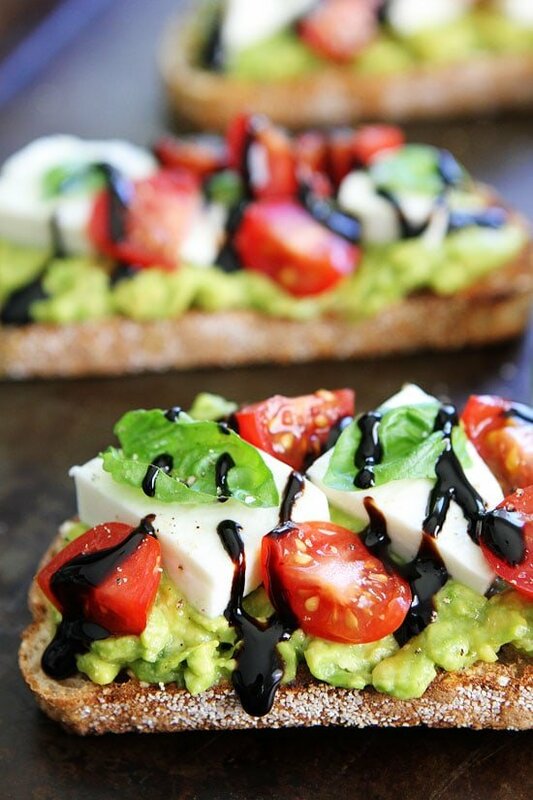 Caprese Avocado Toast-avocado toast with fresh mozzarella, tomatoes, basil, and balsamic glaze! This simple avocado toast is great as a snack or meal! Avocado toast is the trendy thing to eat right now. I don’t want it to be trendy though because it is my favorite! I eat avocado toast almost every day. I don’t want it to go out of style because I need it in my life. So, I am calling avocado toast a classic. It is the new black and it is here to stay! And classic doesn’t mean boring. I just made Caprese Avocado Toast and I am telling you it is FAR from boring. It is THE avocado toast of the summer! 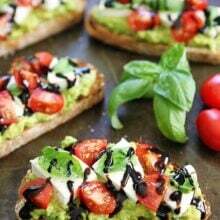 Caprese Avocado Toast combines two of my all-time favorite things, caprese salad and avocado toast. Simple, yet genius! I don’t know why I haven’t been eating this ALL of my life. The flavor combination is perfection! Summertime is the perfect time for this toast too! Tomatoes are soooooo good right now and our basil plant is exploding! Plus, it is beyond easy to make. No cooking is involved, unless you consider toasting the bread cooking, but I don’t. My trusty little toaster does all of the work, not me! And this toast is good anytime of the day, for breakfast, lunch, snack time, dinner time, ALL of the time! 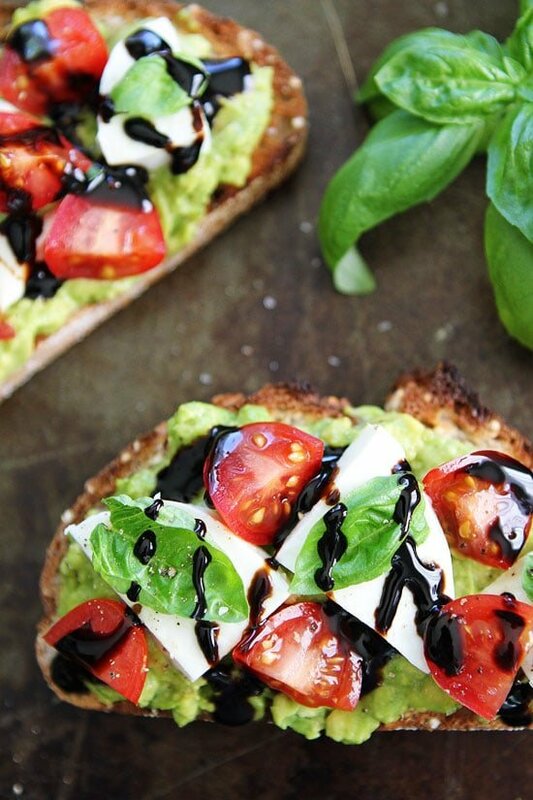 Change up your everyday avocado toast and make Caprese Avocado Toast. You can thank me later:) It is a CLASSIC! 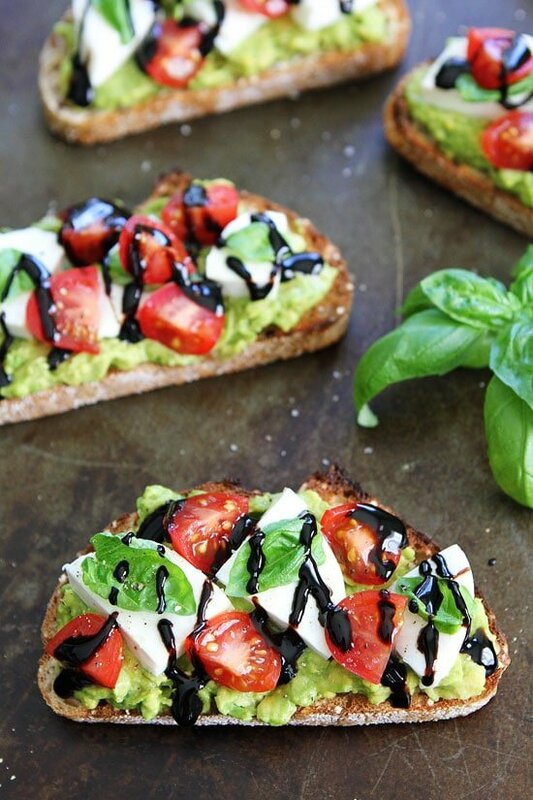 Caprese salad meets avocado toast! 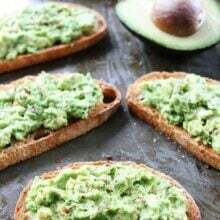 This is the BEST avocado toast and it's so easy to make! It's great anytime of day! Follow us on Instagram and show us what recipes you are making from our blog! Use the hashtag #twopeasandtheirpod! We want to see what you are making in your kitchen! And find us on snapchat: twopeasandpod! This is EVERYTHING. I have been eating avocado toast with a soft boiled egg like it’s my job, but I am TOTALLY open to switching it up for a little caprese action. YES PLEASE. Pinned! Ooh la la, that looks good! You haven’t been able to tempt me with avocado toast until this version. Must rush out and buy the ingredients! Such a fun twist on avocado toast! Bring on the tomatoes and cheese! um, yeah…. those look phenomenal! I’m starving, this looks so good!!! This looks like an avocado toast I could love. my 2 faves combined! Brilliant! I refuse to believe that avocado toast is a trend too, because it is TOO good to ever go out of style! Love this version! I also have all of the ingredients to make it right now!!! 🙂 Love when that happens. You’ve mashed up two of my faves! Love! It looks too good to be true! 😉 So colorful and fresh. Nice, very nice. I’ll try it, for sure. Umm I could eat this for every meal! Amazing! Served this as an appi for a birthday dinner, and everyone loved it! 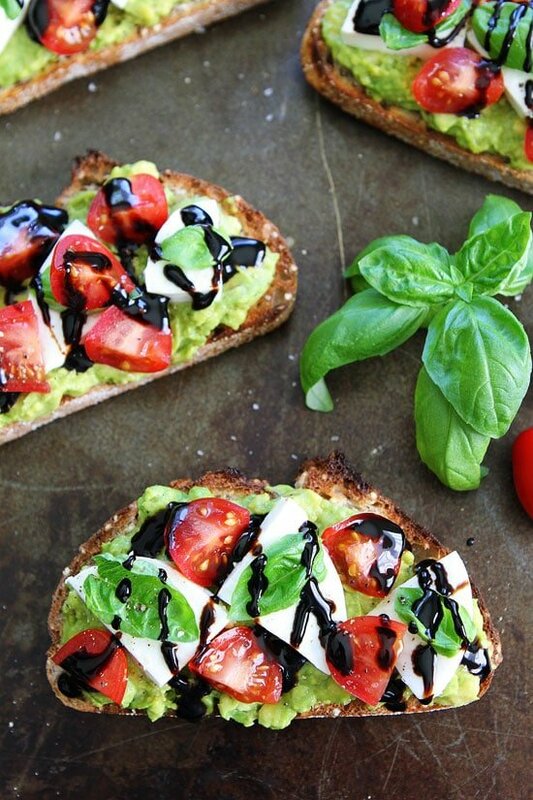 The balsamic drizzled on top is just the perfect touch. 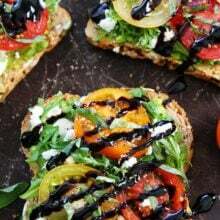 I prepared all ingredients and everyone built their own toast to their tastes – it was fun and everyone had just the balance of ingredients they wished. Great summer treat…and easy! This looks so gourmet, I can’t even… Amazing. I’m like on a toast/burger strike today. I’ve already pinned a bunch of recipes, but I think that this will be the first to try out. I love avocado and always appreciate a good toast with it. 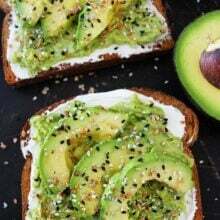 Perfect spin on the traditional avocado toast and I love it even more since it combines my favorite things. This looks so good and I just love your photos… Stunning! When I put this through a calculator, it comes up with 478 calories per serving. Does that seem right to you? I thought that was awfully high. Pingback: Caprese avocado breakfast toast | The Best Socks You'll Ever Wear-Guaranteed. oh my word, this really is the BEST avocado toast ever! 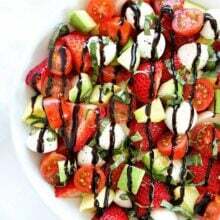 I am hooked on balsamic glaze now! yum! Thank you for sharing this recipe! I’m hooked! Glad you liked it too! It’s a summer favorite! Made it today and it was incredible! This is so easy and so good!